The key to getting great content that captivates your audience is to keep it friendly, positive and informative throughout. We believe that if you put in the effort to make sure the article relates to the reader, they will definitely respond to what you’ve written. An effective article can motivate people to exceed and overcome their self-imposed limits. Was it a debt or a change of location away from your near and dear ones? What was it? Discuss about all the sacrifices you made for the sake of education. **If you state factual incidents from reliable newspapers/magazines or government websites to back up your opinions, don’t forget to cite the sources. As you prepare to leave school and head into college, you may sometimes realize yourself lacking knowledge in a lot of important areas, especially when the real world is concerned. Discuss. There will be 3 winners, and a sum of $1000 will be sent to their financial aid offices of their respective colleges or universities. The length of each article can be anywhere from 700 – 1200 words. Titles need to capture the essence of the article as well as the audience’s attention. Try writing on something that hasn’t been written about. Hook them right at the beginning of the article. Make the introduction engaging. If you are writing on a popular topic, ask yourself how you can add more to it. Citing your sources helps your credibility immensely. A fully formatted post, with title. Relevant images, attached to the email. A bio complete with a headshot, so we can credit you. Please keep your submissions to one per person/email. Once your earlier article is approved, you can send the next one in. All submissions are property of LearnPick (myprivatetutor.com) and it may be edited to suit our audience. Images should be copyright-free and have a minimum size of 900 pixels wide and 480 pixels tall. Friends and relatives of LearnPick are automatically not eligible for this contest. 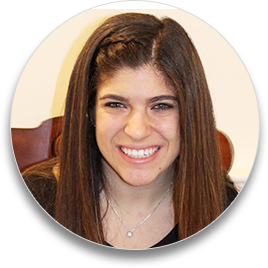 Living life with cerebral palsy, and having undergone eight surgeries already, Julia states she has “worked hard” and “had great success in school.” Julia wants to throw herself into her college studies, holding on to her strength, her spirit.